The Center for Puerto Rican Studies at Hunter College (Centro) estimates that 10,324 Puerto Rican students have already enrolled. [New York, NY] In light of the devastation caused by Hurricane Maria, the Center for Puerto Rican Studies at Hunter College (Centro) has released a new report that estimates the total number of Puerto Ricans enrolled in Florida schools districts and the areas most impacted by the loss of school enrollment and school closings in Puerto Rico. Thousands of Puerto Ricans have already been forced from the island, with more arriving each day. Florida officials estimate that over 200,000 Puerto Ricans have made their way to the state since September 20. In this report, Centro’s survey of school districts and data provided by the Florida Governor’s Office indicate that 10,324 Puerto Rican students have enrolled in Florida school districts after September 20, 2017. School enrollment data is considered a more reliable indicator of permanent migration than other data currently available. In Puerto Rico, authorities are challenged by the drastic decline in enrollment and school closings. According to Centro estimates, the exodus of Puerto Rican students who have enrolled in Florida schools as a result of Hurricane Maria represents an increase of 4.9% over the school enrollment level in 2015. Two school districts, Orange (2,590) and Osceola (1,960), account for about half of the total statewide Puerto Rican student enrollments (47.7%) in Florida. Post-Hurricane Maria Puerto Rican student enrollment is concentrated in Central Florida and to some extent in Southern Florida school districts. In a prior study, Centro estimated that 22,710 to 42,771 school-age children will migrate from Puerto Rico to the United States with their families, with the Florida segment representing about half of the national total. These children will be enrolled in public and private schools across the country requiring enrollment and transfer services, English as a second language or bilingual education, afterschool programs, and counseling. Many of these students have already tested at low levels of English proficiency. These children will also need pediatric care, and many of their parents will need access to translation and culturally-sensitive health care services. High school juniors and seniors in particular require special care and guidance to makes sure they can transfer required courses in order to be able to graduate. For instance, the state of Florida has strict course requirements and seniors must pass standardized tests before graduating. These students require immediate academic counseling, guidance in choosing the courses required for graduation and preparation for upcoming standardized tests. “It is urgent to address the needs of youth that have transferred from Puerto Rico schools to Florida, New York and elsewhere in the country,” says Dr. Melendez. “It is also important to remember that after Maria, Puerto Rico authorities are challenged by the drastic decline in enrollment and school closings and that they need our support in securing a future for Puerto Rican youth,” he added. Prior to the Hurricane, the US Census Bureau data for the Puerto Rican population was updated as recently as September 2017. They estimate that 3.25 million people lived in Puerto Rico prior to Hurricane Maria (as of July 1, 2017). Also, their numbers showed that the stateside population had grown in the past year, from 5.37 million to 5.45 million, a difference of 1.4%. It also showed other established trends such as more Puerto Ricans settling in more diverse geographical regions. Virginia and Texas, for instance, saw their Puerto Rican populations grow by 8% and 7% respectively; while California (8.5%) and Georgia (8.1%) also saw significant growth. To access the report, go to https://centropr.hunter.cuny.edu/sites/default/files/CentroReport-RB2017-02-POST-MARIA-FL-PR-EXODUS%20%281%29.pdf. 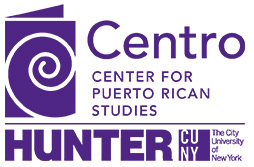 The Center for Puerto Rican Studies (Centro) is the nation’s leading university-based institution devoted to the interdisciplinary study of the Puerto Rican experience in the United States. Centro is dedicated to understanding, preserving and sharing the Puerto Rican experience in the United States. Centro also collects, preserves and provides access to library resources documenting Puerto Rican history and culture. We seek to link scholarship to social action and policy debates and to contribute to the betterment of our community and the enrichment of Puerto Rican studies.